You have identified a traffic hazard and have a solution in mind (no worries if you don't, check our Intelligent Warning Systems for inspiration). Your first step to secure grant funding is to put together a project budget. Speak with industry professionals and reference previous projects to estimate the project’s entire cost. Organize this information into a thorough budget that includes any associated costs you can think of. Doing this step helps you get a clear picture of the scope of your project. Including accurate project costs goes a long way when you apply for grant funding. All too often, a grant application is passed over because the project’s budget isn’t comprehensive enough. Now that you have an idea of how much your project will cost, you should start researching grants. 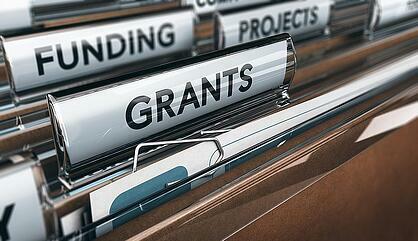 Your state's Department of Transportation is a great place to look for available grant money. If you are lucky, there might even be a grant coordinator on staff to help you throughout this process. Once you find the grant you wish to apply for, make sure you read the entire Request for Proposal (RFP), which will include important application requirements and submission deadlines. Tell your story and use data to back it up. Gather statistics and other evidence that proves why your community needs this traffic safety enhancement. Was there a recent accident or a few too many close calls? Whatever the case, communicate about how your safety issue needs to be promptly addressed to prevent this from happening again. Be sure to communicate the effectiveness of your planned safety enhancement and what may happen if you aren't awarded the grant money. This creates a sense of urgency for your need and should set you apart from other applications. Before you hit that send button, review your application. Hire a professional grant writer to proof your application, or at the very least have a coworker read through it. Simple errors can be the downfall of any well-constructed grant application, so take the time to make sure your application has the best chance of approval. You should learn soon after submitting your application if your proposal has been accepted but you will wait three to six months on average before you receive the money. Most grants come with specific post-award management instructions to follow, so utilize the downtime to completely design your project. Failing to comply with the post-award management rules could negatively affect your ability to receive future grants. Traffic safety is all about prevention. At TAPCO, we have the expertise to help you choose the right solution for your grant application.